Terry Shames will be with us twice in February. On the 4th she will be one of several authors involved with the discussion and signing of the anthology Lone Star Lawless and on the 5th you will find her, Laura Oles, and James Ziskin, discussing the thriller and their latest books. Terry’s is A Reckoning In The Back Country that has her hero Samuel Craddock looking into a murdered doctor’s dark double life that includes the crime of dog fighting. We caught up early with Terry to ask her a few questions. MysteryPeople Scott: You spin several plates with this mystery, was there anything in particular you wanted to explore? Terry Shames: This book just grew and grew. I once attended a talk by Joan Didion, who said that when you are writing a book, you should put everything you know into it. She said not to be afraid that there won’t be something left over for another book—there always will be. So I didn’t hold back anything in the this book. The original idea of “Reckoning” came about because I wanted to kill a doctor who injured me in a botched surgery. I had to kill him on the page, so I wouldn’t have to go to jail for doing it in real life. I tried to imagine a terrible death for him—and I think I succeeded. That’s where dog fighting comes in. The idea of doing a book that involved the awful issue of fighting had been nudging me for a couple of years. Combining the two seemed natural. So that’s two of the plates I juggled in the book. Another was the continuing life of characters in the community. A few of the characters that show up have been in almost every book, but never had an important place. 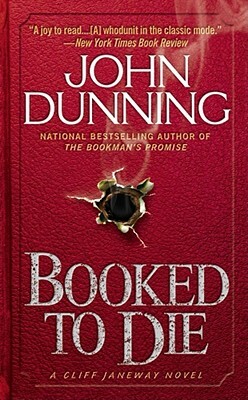 We learn more, for example, about Harley Lundsford, who in most of the books makes a case for toting a gun. I wanted to take a closer at him, and he surprised me. MPS: Since Back Country deals with dog fighting, you risk that unwritten rule of alienating a reader by harming an animal. Did you have any trepidation? TS: I absolutely worried about it. As I said, the idea of doing a book that included dog fighting as a theme had been in the back of my mind. After all, it is part of life in many country areas. To ignore it is to be dishonest through omission. I put if off not only because of the “unwritten rule,” but because it seemed like a horrible thing to research. Writing it was very hard. At first, I left out a description of the dog fighting itself altogether, knowing I was being a coward. But my stalwart writer’s group would not allow it. So I set the description in Samuel’s past, a way of lessening the grim reality, since it was observed through the lens of a young boy; and also as a way of illustrating more about Samuel’s upbringing. I decided another way of dealing with the grim nature of it was to give Samuel a puppy as a counterbalance. MPS: Did writing a four-legged supporting character cause any challenges? TS: Since I have dogs, and know puppies, the actual puppy part was not hard. But I kept “forgetting” about the puppy and had to go back and make allowances for him when Samuel was going about his business. There’s a funny story about that. When I was editing, I thought there were too many details about the care and concern for the puppy, so I took some out. I got a scolding note from my copyeditor at SSB, telling me that Samuel couldn’t leave the puppy in the car alone. That happened to be a passage I had removed, thinking it was too much fussiness. Apparently not! I had to put it back in. MPS: You having two women vying for Samuel. What made you think this was the right time to have romance reenter his life? TS: This is an awful thing to say, and some readers may get mad at me, but I grew not to like Ellen very much. About a year ago, Dru Ann Love invited me to write a piece in her “Day In The Life” blog, in which writers imagine a day in the life of one of their characters. I wrote about Ellen Forester, and discovered that Ellen had a secret. I kept wondering what it might be. When I started writing this book, I realized that the story line with Ellen had grown stale and it was time to shake it up. So I started looking at her secret, and….well, I hope readers enjoy the shake-up! MPS: What is Sam’s greatest strength as an investigator? TS: That’s a hard one. I can talk about his strengths as a person: He’s persistent, honorable, open-minded, has a good sense of humor, and isn’t afraid to admit that he doesn’t know something. That latter may be his greatest strength as an investigator. The old adage that there are no stupid questions works well for investigators—not just of crime, but of science, journalistic endeavors, and history. If you are afraid of asking a question because it might make you look stupid, you’re likely to miss important points. Samuel sometimes prods people to tell him something that everyone assumes he knows, and they are annoyed by what they take to be his naivete. But he has a method to his “stupid” questions, a method that often works to get to the truth. MPS: You also have a short story in the anthology Lone Star Lawless. What can you tell us about your tale? TS: I am not really a short story writer. I mean that the form doesn’t come naturally to me. I’m in awe of those writers who gravitate to the short form. They seem to know what is important to move a story along without getting cluttered with details. My natural impulse is to write all the details of character, setting and plot, and to embrace sub-plots. Someone pointed out that the short has to hinge on a single idea, which helped me learn how to keep it trim. I started “Lone Star Motel” a few years ago, knowing it would be a short story. The story came to me after I talked with someone whom I suspected was being abused psychologically, and maybe physically as well. She was a woman with few options and I imagined what it would be like for her to try to escape her situation. After I wrote the first scene, I let it sit while I went on to other writing. But it never entirely left me. I kept thinking about it periodically. When I was invited to submit a story for Lone Star Lawless it seemed like the perfect opportunity to develop the idea. I ended up liking the story, and I hope readers do, too. This is an anthology with some great stories in it! We’re wrapping up our 30th Anniversary tribute to Sisters In Crime with essays from its members. We go to the president of the northern California chapter and MysteryPeople favorite, Terry Shames. Terry is known for her books featuring Samuel Craddock, an widowed police chief in a central Texas town. In her essay, Terry talks about being at one of the founding meetings of Sisters In Crime. Thirty years ago two writer friends convinced me to attend Bouchercon in Baltimore. They told me I’d have a blast. As an aspiring mystery writer, I’d not only learn a lot, but I’d meet lots of mystery writers and fans. They were right. I met writers I was in awe of, and found them to be warm and friendly. I was in heaven. As a beginner, I soaked up not just the atmosphere, but the information I heard on panels I attended. What I remember most about the conference, though, is that my friends invited me to tag along to hear writer Sarah Paretsky talk about an idea for a new organization that would be geared to supporting female crime writers. It was common knowledge that although half of crime writers were women, the lion’s share of awards, reviews, interviews, and buzz went to male writers. Sarah wanted to change that. Sarah’s talk was inspiring. It wasn’t mean-spirited. There was no talk of men not deserving recognition. It was about women deserving a share of the goodies. There were men in the audience as well; men who came to cheer on women, who they thought deserved better as well. I, along with most of the women there, signed up enthusiastically for the new organization, Sisters in Crime. How could I have known that thirty years later I would be president of our northern California chapter of what has become a vibrant national organization. The value I have received from Sisters in Crime is immeasurable. I’ve met both women and men dedicated to the idea that when one succeeds, we all succeed. When I started writing in earnest several years after that initial conference, I heard about a sub-group of the organization called The Guppies (the great unpublished). This was a group of women writers who were determined to be published. They wanted to help each other by exchanging information, tips on agents and publishers who were eager to hear from new writers; conferences and workshops that were especially helpful. The membership also exchanged virtual hugs when someone was disappointed; advice; warnings of predatory people in the publishing field; and finally, high fives when someone had success. The membership also included seasoned writers who wanted to participate in giving unpublished writers all the help they could. This has been my experience through the years with Sisters in Crime. The dedication to supporting sister writers succeed was not just an empty slogan. I see it play out daily, in the email list serve where people ask for advice and opinions, and receive thoughtful responses. When you ask a “sister” for help, there’s always someone listening and willing to step up. Members are eager to exchange manuscripts for mutual critiques. They alert other members to valuable workshops. They ask compelling questions about writing and publishing, and many members join in the conversation. From that meeting thirty years ago to the present Sisters in Crime has grown to a national force for women in the crime writing field. I am proud to be a part of it. In fact, I have just completed a week long retreat with six other “sisters” whom I would never have met had it not been for Sisters in Crime. 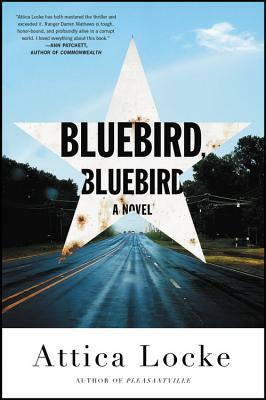 A hard land with a difficult history, Texas has always lent itself well to crime fiction. From the crime fiction greats who helped define the genre to those writers shaping the landscape of crime fiction today, Texas has a long tradition of social critiques and sendoffs of hypocrisy (the hallmarks of Texas crime fiction, in my opinion) delivered via murder mystery. Tales of Texas history may gaslight their audiences into believing in the state as a land of triumph, but we crime fiction readers know the dark, murderous truth about the land we call home…. Below, you’ll find an incomplete (of necessity) guide to Texas crime fiction, brought to y’all in honor of Texas Mystery Writers Month (that is, May). Emphasis is placed on well-known classic writers and the wide array of new crime fiction released in the past few years. We know we’re leaving out quite a few of the Texas mystery writer greats, and many of the good one-off novels. Some have gone out of print; others have simply dropped off our radar as we find new voices to champion. We’re happy to be hosting Terry Shames tomorrow, January 24th, at 7 PM, right here at BookPeople, for a panel discussion on small town crime fiction with Melissa Lenhardt and James W. Ziskin. Her latest, An Unsettling Crime for Samuel Craddock, looks into the earlier days of the central Texas police chief. Meike Alana was able to ask Terry a few questions before the event. Meike Alana: An Unsettling Crime for Samuel Craddock takes us back to Samuel’s earliest days in law enforcement. What made you feel it was time for a prequel? Terry Shames: After my first book, A Killing at Cotton Hill, came out, my editor said he would like me to write a prequel. I loved the idea, but I already had several current stories in mind, so I put it on the back burner. Eventually I had enough Craddock books published so that people knew Craddock and were invested in him, so it seemed like the right time for the prequel. I knew all along that I wanted to explore how Samuel became the kind of man he is in the later stories, a man of integrity and responsibility, with compassion and a strong sense of ethics. And I also knew the true story that I was going to base the book on. MA: When your series debuted Samuel was an aging widower, and fans of the series know of the deep love and admiration he had for his late wife Jeanne. In this novel, we get to witness their relationship in its earliest formative period. Was Jeanne as a character already fully formed in your imagination, and was this a chance for the reader to get to know her too? Or was the novel an opportunity for you to explore and discover what Jeanne was really like? TS: I always knew that Jeanne was not the person the readers saw in the first novels through Samuel’s eyes. He was grieving, and as many people do when they are in the first stages of grief, he made her into something of a saint. I knew that as the books progressed he would start to remember her more clearly. When I tackled the sequel, I knew there would be some things about the young Jeanne that might surprise people. It may even upset some readers who thought they knew her. You have to understand I actually see my characters as real people. If they didn’t have some negatives traits, they would be boring. And as a writer, I feel strongly that sometimes you have to surprise readers with a little dose of reality. MA: Samuel initially takes the job as police chief thinking it will an easy gig; right away he’s confronted with a multiple murder, drug dealing, and corruption—all while dealing with family drama surrounding his brother. Without giving anything away, can you tell us about how these contribute to Samuel’s character development? TS: Samuel did not have an easy upbringing, and that could have made him a bitter and irrational person. But he stepped out of that life and went into the Air Force and on to college. Both are institutions that take over of a lot of the choices people have to make while they grow into adults. In a way they are protected from the outside world because there are strict rules that have to be followed if you are going to succeed. When Samuel comes back to Jarrett Creek, he is a different young man than the one who left. He hasn’t decided what he’ll do with himself, and in fact his choices are limited in a small town. When the job of chief of police is offered to him, he thinks it will be easy—after all how much can a small town of 3,000 people get up to? It turns out they can get up to the same things people get up to in cities. When a horrendous murder is committed in his town, he is not actually responsible for the investigation. State law enforcement agencies are responsible for that. Only when he realizes that the person who in charge is going to do a shoddy job does he confront himself with his choice—will he be a man of character who pursues the true guilty party, or will he let it slide? To force the issue, I conjured up a reporter who is ten years older and who is fiercely dedicated to reporting the truth. She challenges Craddock, and it moves him ever closer to his crisis. I loved this part. It says so much about people and circumstances. MA: In the titular unsettling crime, a local black man is arrested for murder and Samuel is certain that he’s been wrongfully accused. Knowing that the law works differently for black men, he goes to grea lengths to clear the man’s name despite receiving threats. The racial themes resonate even (or maybe especially) today. What was your inspiration for tackling such a difficult and complex topic? TS: I grew up in Texas at a time when racial prejudice was rampant. But I grew up with high regard for my grandfather, who once said, “I don’t care what color a man is. If he can work alongside me, he’s okay by me.” That made a great impression on me. I know that Texas has gotten much better at racial inclusion, but there’s still a lot of racism and bigotry alive and well. Not just in Texas, but all over the United States. I really think that as a serious writer, it is up to me to explore these issues. You say it’s difficult and complex, but in reality, Samuel has a core of decency that made the book easier to write than you might think. When decent people take it on themselves to confront a corrupt system, things can be rectified. MA: Which character from Samuel’s past was your favorite to explore? TS: I enjoyed trotting out Samuel’s mother. I hoped she would not become a caricature. I have actually known people like that who never seem to be able to say a kind word and who live with resentment and bitter judgment. It might have been interesting to explore why she is the way she is, but this story was not hers. MA: “Terry” is one of those names that could be masculine, and when I started your series I was quite certain it was written by a man living in Texas. I was pretty surprised to learn you are actually a lady living in (of all places) California. I know you spent your younger years in Texas, but you write so convincingly about a place that isn’t actually still your home. Do you write just from memory? Do you make frequent research trips to Texas? TS: I think for many of us the place where we grew up is deeply embedded. I do return to the town where these books are set and I always have a strong sense of homecoming. The smells peculiar to the town; the taste of the water; the sights of pickup trucks and gravel and the railroad tracks and the vegetation; the sounds of people’s accents are all familiar. That said, Jarrett Creek is really a town that lives in my head. I first wrote about it in the 80s when I wrote some short stories set there. The town in my head bears a lot of resemblance to the real one, but there are also “convenient” differences. For example, in the book I’m working on now I’ve erected a whole line of homes near the lake that don’t actually exist. That’s the value of not sticking to reality. MA: Can you tell us what you’re working on next? TS: I’m working on the next novel in the series, set in current time. It has a very dark core. I usually like to add humor into the books, but his one is going to take some work to put in light moments. The last Craddock book I wrote was a prequel, so I haven’t written about Samuel Craddock in current times for two years! I found it hard slogging to get back to things as they are now. I keep wanting to refer to people that were in the prequel, but they aren’t part of the story anymore. It wasn’t a problem I envisioned, and it’s slowly subsiding. 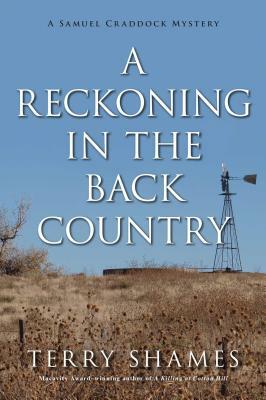 The book is called A Reckoning in the Back Country. I’m interested when certain words crop up in book titles. Only after I had settled on the title did I hear of another book with the word “Reckoning” in the title, Louise Penny’s current book. It gives me a chill to think of that word roiling through the current zeitgest and cropping up in titles. You can find copies of An Unsettling Crime for Samuel Craddock on our shelves and via bookpeople.com. 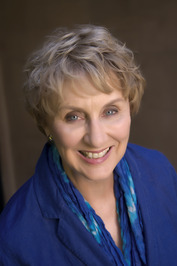 Terry Shames comes to BookPeople to speak and sign her latest on Tuesday, January 24th, at 7 PM. She’ll be joined by James W. Ziskin and Melissa Lenhardt, fellow masters of the small-town mystery. Terry Shames introduced us to aging lawman Samuel Craddock just over 3 years ago in A Killing at Cotton Hill, the first in a Texas-based mystery series that has quickly become one of our favorites at MysteryPeople. Set in the fictional small town of Jarrett Creek, the series features the former Chief of Police; at loose ends in retirement and mourning the death of his beloved wife Jeanne, Samuel steps in as acting police chief until the bankrupt town can afford to hire a replacement. Macavity Award winner Shames’ latest, An Unsettling Crime for Samuel Craddock, is a prequel that takes us back to Samuel’s early days in the 1960’s as a woefully inexperienced 20-something police chief confronted by his first serious crime. The Jarrett Creek Fire Department is called to extinguish a fire in the outskirts of town (a section the residents refer to as “Darktown”) and makes a horrific discovery—the blaze seems to have been set to obscure the grisly murder of 5 black youths. This month all three picks to look out for in January are from authors soon to visit BookPeople to speak and sign their latest. One of the best of 2016 will be out in paperback at the beginning of 2017. Coleman introduces us to Gus Murphy, an ex-cop picking up the pieces of a life shattered by loss. When a criminal he used to arrest asks him to look into the murder of his son, he finds himself up against a dying Mafia and some of his old colleagues. A moving wounded character whose emotions never take away from the hard boiled tale. Reed will be here to speak and sign his second Gus Murphy novel, What You Break, on Friday, February 10th, at 7 PM. He’ll be joined by actor and author Robert Knott. Where It Hurts is just out in paperback! You can find copies on our shelves and via bookpeople.com. A retired Rebus looks into an old unsolved case, while Clarke and Fox catch a new one when a local tough is severely assaulted, possibly by Rebus’ old nemesis Cafferty. Rankin gives us a great plot tied to characters we love to hang out with. Rankin will be at the store to speak and sign his latest on Thursday, February 16th, at 7 PM. Rather Be The Devil comes out January 31st – pre-order now! 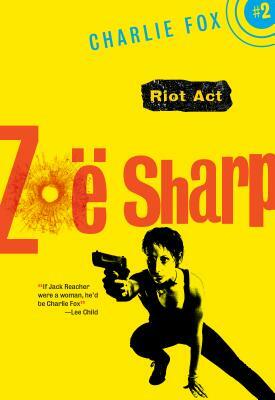 Shames goes back to Samuel Craddock’s early days as Chief Of Police dealing with an arson and murder with racial implications. Shames does a wonderful job of capturing her hero in his younger days.Terry Shames will be here to speak and sign her latest, along with two other writers who use small town settings, Melissa Lenhardt and James W. Ziskin, on Tuesday, January 24th, at 7 PM. You can find copies of An Unsettling Case for Samuel Craddock on our shelves and via bookpeople.com.